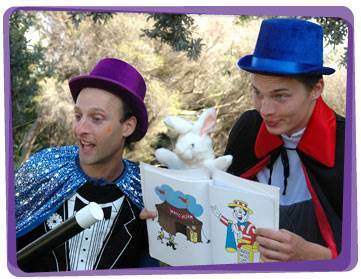 Prepare to be amazed with our incredible kids party magicians in Sydney who wow and entertain their audiences with disappearing acts, illusion, sleight of hand and silly antics! 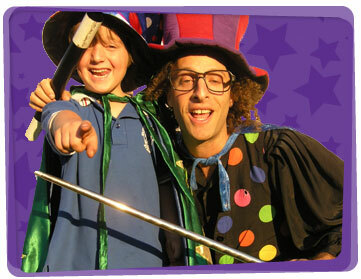 Have the crowds rolling in the isles with a wondrous and hilarious magic show by Sydney’s most sought after magicians. If you hire a magician for your child’s birthday, they will feel like the luckiest person in the world upon receiving a special modelled balloon birthday prize during the course of the show. From kid’s birthday parties to trade shows, business functions and many another events, our Sydney based magicians for hire turn the occasion into something magical! We make it easy for you to book a Magician in Sydney – all you have to do is click the big purple button and it will magically take you to our booking page or call this number: 0416 798 698. 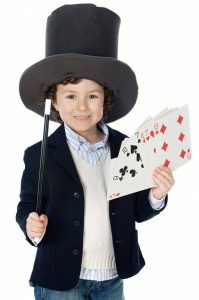 Searching for a magician game idea to play in your party whilst waiting for your entertainer to arrive? Choose one or two children to be the magicians. Give each of them a magic wand. The magicians run after the other children and tag them with their magic wand. The body part on which the magician has tagged the child will be frozen. For example, if a child has been tagged on the left leg, then he/she must hop around using only the right leg. If a child has been tagged on the arm, then that arm must not move while he/she runs around. If both legs have been tagged, then the child can roll on the ground or crawl using his/her arms. The goal is to freeze as much body parts as possible until all children have been completely frozen. As a variation, you can have an evil magician freeze the kids and a good magician can unfreeze them. Decorations don’t need to be complicated in order for it to be effective. Just look at this 3-step magic wand creation – you’ll be turning pumpkins into carriages in no time! 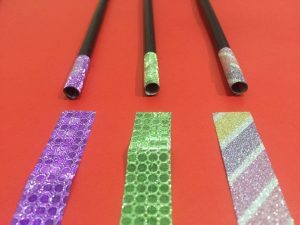 All you need to do is wrap the drinking straw with black electrical tape. Make sure to smooth it out while wrapping it to lessen the wrinkles in the tape. Cover about .5-1 inch of one end with white tape. If you want to make the wands more colorful, you can use colored tapes as well. Use a little bit of imagination and enjoy your wand! 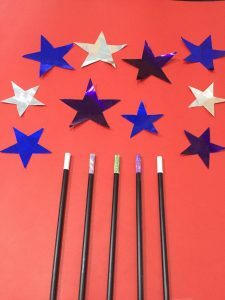 For great magician party supplies, visit House of Party at 142a Oak Road, Kirrawee 2232 Sydney, NSW. They’re closed on Tuesdays and Sundays, but you can visit them from 9AM-5PM on the other days of the week.